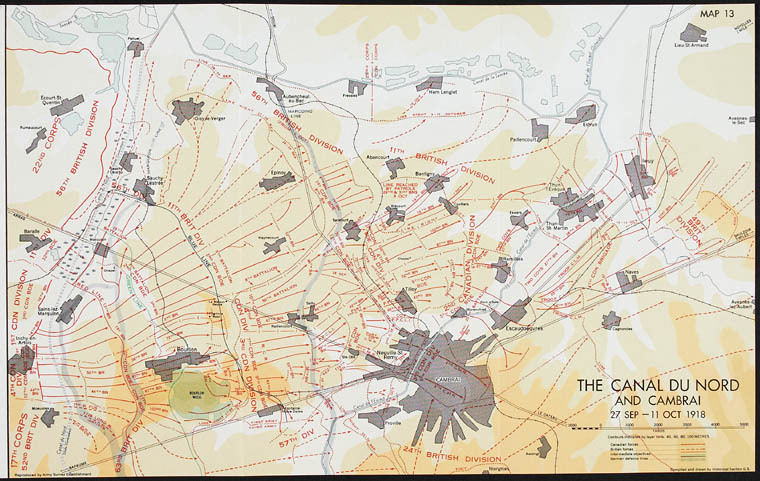 Maps to assist in putting the Battle at Iwuy in perspective. Source: Gerald W.L. Nicholson, Canadian Expeditionary Force, 1914-1919: The Official History of the Canadian Army in the First World War (Ottawa: Queen’s Printer and Controller of Stationery, 1962), p. 458. 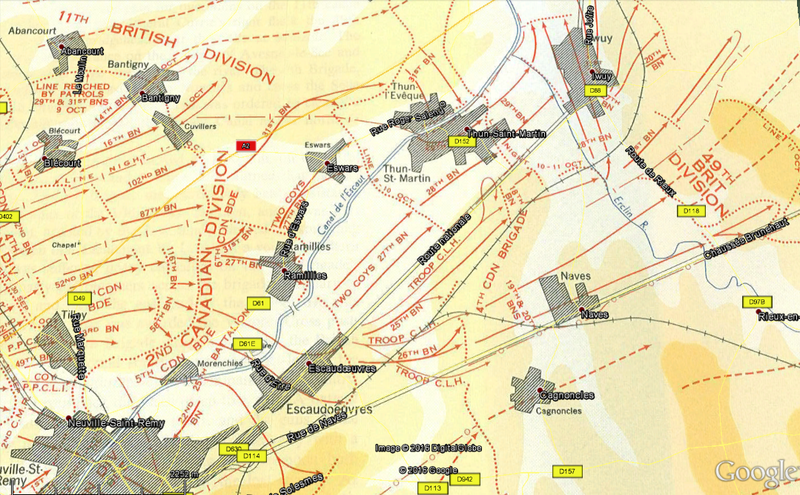 The map above gives a good overview of the action and movements of the Canadian Corps in the Canal Du Nord and Cambrai area. Iwuy is north-east of Cambrai and north of the village of Naves. Screen capture of Google Earth overlay from the Canadian Expeditionary Force Study Group work using Google Earth. References in yellow boxes are modern roads. The screen capture gives good detail focusing on the actions involving the 4th Canadian Infantry Brigade and their movements before and during the Iwuy action. Many of the place-names in the 4th Canadian Infantry Brigade report can be seen on this map.